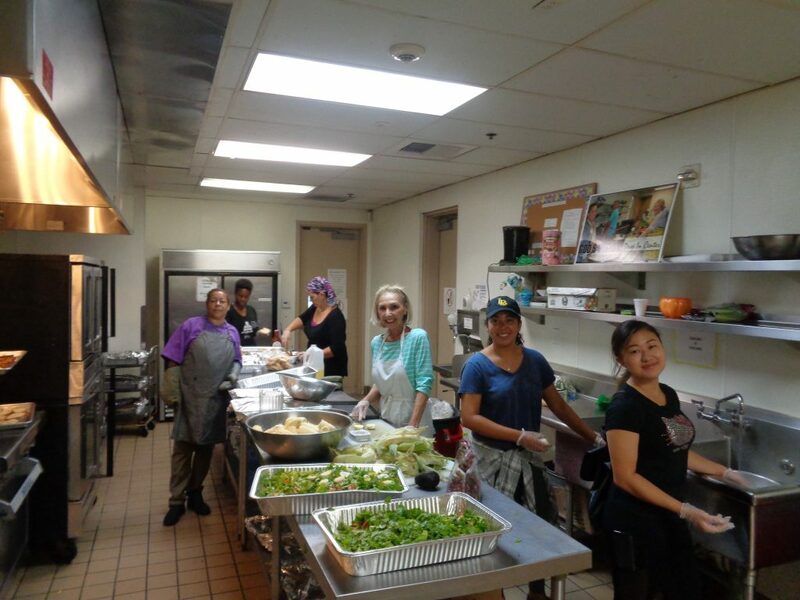 On Sunday, August 12th, our UCO staff and 27 volunteers worked together to successfully prepare and serve meals to 135 guests, of which 19 were new to the drop-in center. We served stuffed bell peppers, vegetarian “pork” sandwiches, mixed vegetables, salads and deviled eggs. 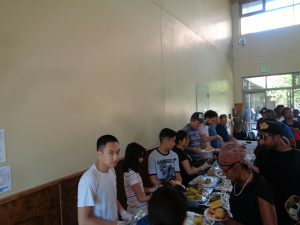 Guests were also offered fruit, packaged salads and bread to take out. In addition to these offerings, bags of groceries from our pantry and refrigerator were given to 5 families. UCO’s counseling staff and I were busy completing intake forms for new clients and writing updates for returning guests. Most wanted to know where they could access shelter and/or permanent housing. A motel stay was given to a woman, her two young children and mother. Two couples received cash assistance for bus fare. One couple (with one who is in a wheelchair) have many of their appointments at Kaiser Downey. We assisted 3 guests with forms for complimentary California ID cards. We received word from the LA County Housing Authority that 3 of our UCO clients have received tentative approval for housing assistance. We hope to soon assists these clients move into apartments and continue to help them stabilize their lives. Our housing coordinator is continuing to work with her clients who are receiving both mental health and substance abuse treatments at Safe Refuge. Five of her clients are housed and working. She is helping several other clients who are ready to begin their search for apartments. 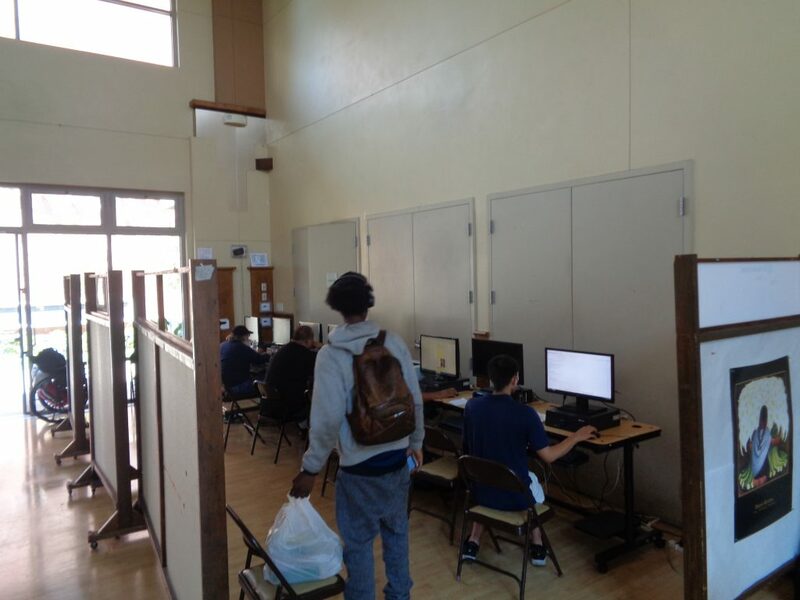 Several guests, including older children, logged onto the computers at our computer lab to read and send emails, as well as access other useful information on the internet.